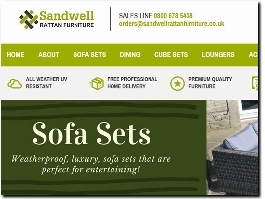 UK based online retailer selling garden rattan furniture including rattan sofa sets, rattan dining table sets, rattan sun loungers and rattan bistro and cube sets! We offer free delivery on everything and we offer no quibble returns! 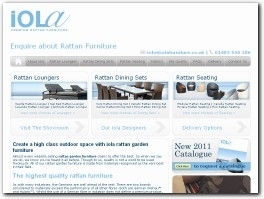 Rattan garden furniture specialists Living It Up are the UK’s leading supplier of rattan furniture. The company operate online and have very competitive pricing. Rattan is a low maintenance product that offers a contemporary feel to it's surroundings. 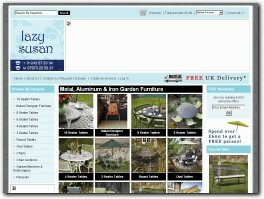 Lazy Susan is a small family business based near Chichester, West Sussex that specialise exclusively in metal garden furniture, specifically aluminium garden furniture. Company TimberIN - whether you are looking for wooden hot tubs, outdoor SPA or saunas, you will definitely find your desired model at our website. Wide range of models starting from simple wooden tubs or more sophisticated fiberglass tubs. 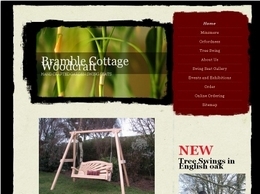 Woodscape Ltd design, manufacture and install quality, robust hardwood street/garden furniture and structures, custom designed to meet your exacting project requirements. We are a UK-based company retailing Hammocks made in South America. We stock a wide range of garden hammocks and hanging chairs as well as hammock stands. We offer free next day delivery for orders over a certain amount and a 30-day money back guarantee. We sell only Quality luxurious Garden Furniture, if you are looking for something special that will last for years then View our ranges today. We import and retail a stunning range of rattan garden furniture including the maze rattan furniture brand. We also have a trade department should any garden centre or online business wish to stock our goods. Premium quality offers Rattan Garden Furniture, tables and chairs, sofa sets, corner groups, day beds, sun loungers, parasols in Romford, UK. Online selling products. Suppliers of quality garden furniture and accessories at the lowest internet prices!, from rattan garden sofa sets to parasols and BBQ''s. Shop online or call our sales team for prices. A range of quality wooden garden furniture, including garden benches, garden tables and chairs, companion seats etc. Plus rattan furniture, garden hammocks and hammock stands, arbour seats, and swinging seats. 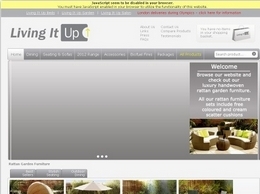 Garden furniture and gifts direct. Select from a huge range of gorgeous items for indoor and outdoor rooms, hearth and kitchen plus FREE delivery to UK. A range of personalised photo jigsaws and other gift ideas including place settings and mugs, glass chopping boards and for the garden, personalised deckchairs, stools and cushions. Create your own unique gift online using your favourite photographs. ATC Wicker Furniture Supplier is a manufacturer and wholesaler of Outdoor Rattan Wicker – Water Hyacinth Furniture with best quality and competitive price.